Judge Kelly Rowland took to the stage during X-Factor UK's semi-final results show on December 4 to perform her hit singles "When Love Takes Over" and "Down For Whatever." 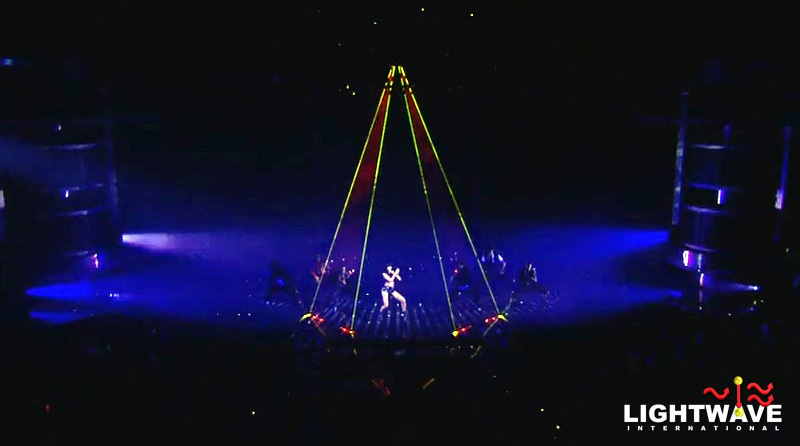 Accompanying her energetic performance were over 42 watts of laser power from Lightwave's Prism Series laser projectors. Judge Kelly Rowland took to the stage during X-Factor UK’s semi-final results show on December 4 to perform her hit singles “When Love Takes Over” and “Down For Whatever.” Accompanying her energetic performance were over 42 watts of laser power from Lightwave’s Prism Series laser projectors. 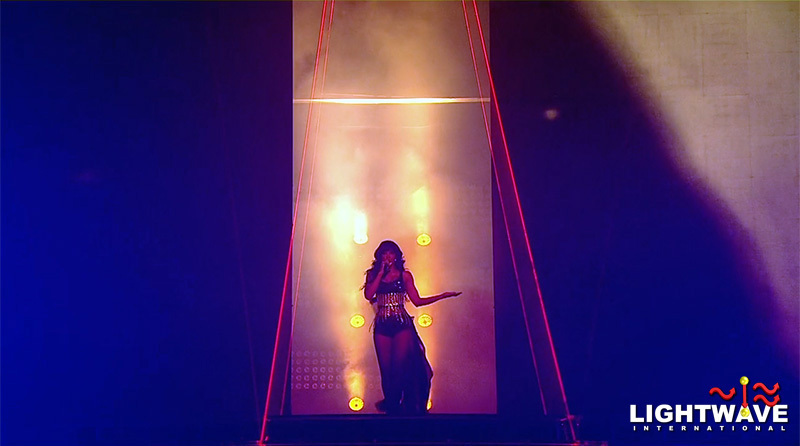 Rowland and her dancers began the number framed by boxes of red laser light for a subtle entrance effect before the song kicked into overdrive with bouncing beams around the performers. Lightwave laserists Eliav Kadosh and Derek Abbott controlled the show utilizing Pangolin’s Live software, accomplishing the live performance with little time for programming or rehearsal. X-Factor UK is one of the United Kingdom’s top rated shows. The results show had an audience of over 11.2 million viewers on ITV1.